Barcelona will offer Manchester United the chance to sign Malcom as part of a summer bid for Marcus Rashford, according to a report. A report claims that AC Milan chiefs have met with the agent of Barcelona outcast Malcom, but Arsenal are also still in the running to sign him. Chelsea forward Willian reportedly remains a target for Barcelona, who believe that they can land the Brazilian for a cut-price fee this summer. Barcelona reportedly decide to use Philippe Coutinho and Samuel Umtiti as a way of raising €300m (£256.13m) during the summer transfer window. Relive an eight-goal classic between Villarreal and Barcelona as late goals from Lionel Messi and Luis Suarez rescue a 4-4 draw for the visitors. Barcelona are reportedly hopeful of using either Philippe Coutinho or Malcom as bargaining chips in their attempts to sign Marcus Rashford from Manchester United. Relive Sports Mole's live commentary of the second leg of the Copa del Rey semi-final between Real Madrid and Barcelona from Madrid, which finished 0-3. A report claims that Liverpool are the new frontrunners to sign Malcom, who has failed to impress during his maiden campaign at Barcelona. President Josep Maria Bartomeu says that Barcelona have already started to prepare for life without Lionel Messi. Relive Sports Mole's live text coverage of Barcelona's 1-1 draw with Real Madrid, as Lucas Vazquez and Malcom struck to keep the tie finely poised. Lionel Messi scores twice as Barcelona come from two goals behind to draw 2-2 with Valencia in La Liga on Saturday night. Arsenal reportedly pulled out of the race to sign Barcelona winger Malcom due to the size of the player's loan fee. 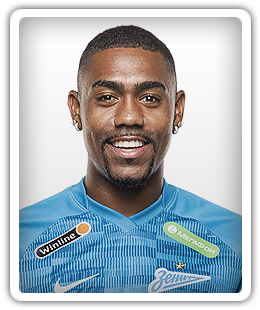 Arsenal are hoping to strike a loan arrangement with Barcelona for Brazilian attacker Malcom, according to a report. Arsenal reportedly approach Barcelona over a loan move for Brazil attacker Malcom. Sports Mole provides the team news, predicted lineups and a full preview of Barcelona's trip to Girona in La Liga. No Tottenham Hotspur approach for Malcom, Jarrod Bowen? Tottenham Hotspur are reportedly yet to make an approach for either Barcelona winger Malcom or Hull City star Jarrod Bowen. Tottenham Hotspur are reportedly considering a bid for Real Betis forward Antonio Sanabria before the end of the January transfer window. Tottenham Hotspur are reportedly holding talks with Barcelona regarding the potential loan signing of Malcom. Tottenham Hotspur reportedly revive their interest in Barcelona winger Malcom as they look for attacking reinforcements following an injury to Harry Kane. Barcelona reportedly prepare a second transfer bid for Chelsea attacker Willian, having seen their initial bid rebuffed.